Description : Superb craftmanship of embellishments exhibited in this Green pure cotton designer un-stitched dress material. Look ravishing clad in such a attire that is enhanced embroidered and lace work. 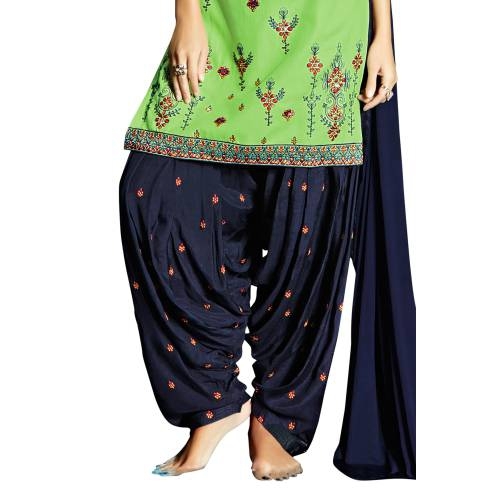 Comes with Blue color bottom and dupatta. (Slight variation in color, fabric & work is possible. Model images are only representative.) Maximum possible bust size: 42 inches.